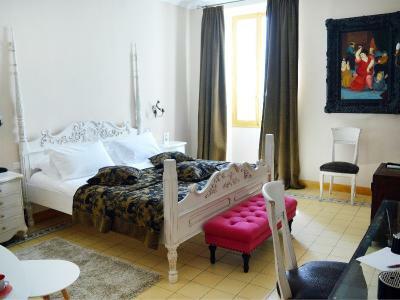 Lock in a great price for Hôtel Sainte Valérie – rated 9.2 by recent guests! Amazing place. Staff was very friendly and helpful. 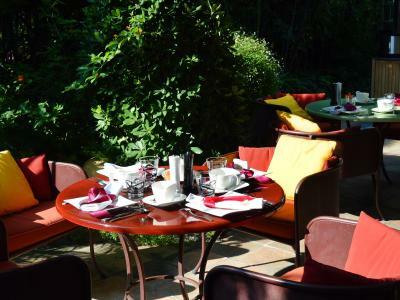 Breakfast in the beautiful garden feels like home. Clean room. Would recommend this place to everyone. Thank you to Noelia at the front desk, who greeted us with a warm smile. Had a daily afternoon drink under the huge lovely tree that defines the pool and cocktail area. Everything about the Hotel St Valerie is wonderful. 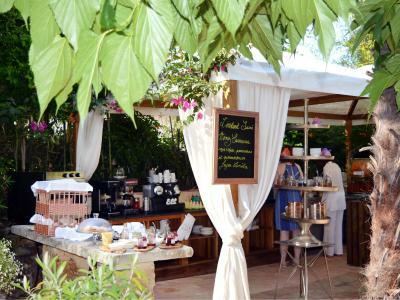 We loved the location and Juan les Pins is quite delightful and fun, and easy to walk around. 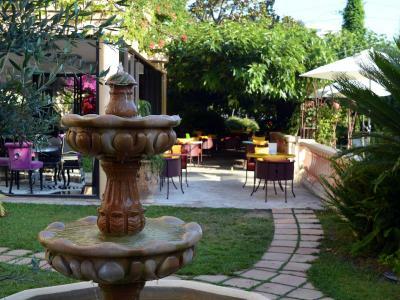 Just 8 minutes walk to the train station so from there you can get anywhere you want on the Cote du Azur. The beach was crowded but nice with excellent cafes right there. 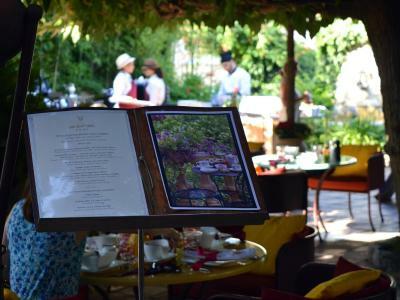 The staff was fabulous and helpful and the breakfast setting could it be more charming in the gorgeous patio! We can't wait to come back! Decor throughout the hotel was lovely. A real gem, would highly recommend and very happy to return again in the future. 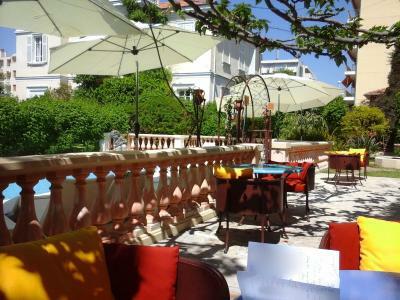 This was such a lovely hotel and the staff were incredibly friendly, helpful and welcoming. 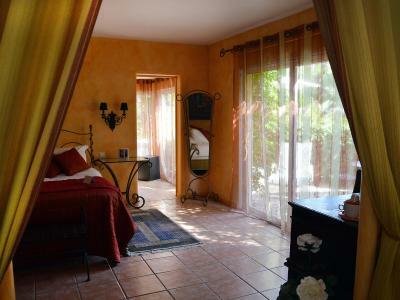 The rooms were lovely, it was really clean and beautifully decorated. 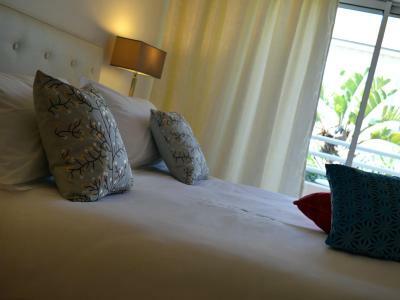 Excellent location; very helpful staff; comfortable room; breakfast/brunch available till 1 p.m.; towels provided for the beach; arranged taxi from/to airport; casual boutique atmosphere. Thoroughly recommend. Very quick and easy walk to beach. Parking was so easy! Accommodations for baby were good. Quiet location. Definitely a gem! Very nice setting quiet and peaceful but very close to the coast and a bit of an oasis. I had an excellent room. Breakfast was also good with lots of choice and freshly cooked. 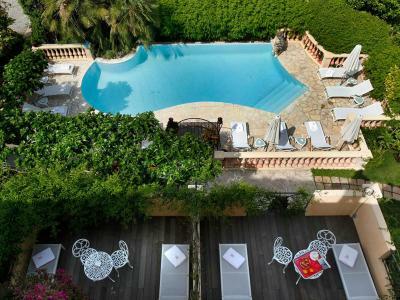 One of our top picks in Juan-les-Pins.Hôtel Sainte Valérie is in Juan les Pins, 300 feet from the beach and Juan les Pins pine forest. 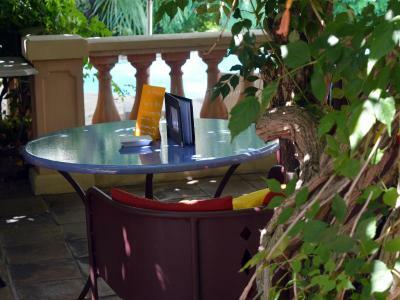 The hotel offers spacious, air-conditioned rooms, an outdoor swimming pool and a bar. 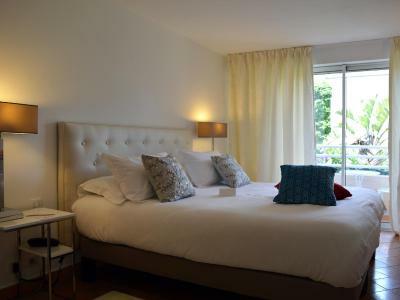 The bright and modern rooms at Sainte Valérie come with a flat-screen TV, DVD player and free Wi-Fi access. The private bathrooms have a spa bathtub and bathrobes are provided. 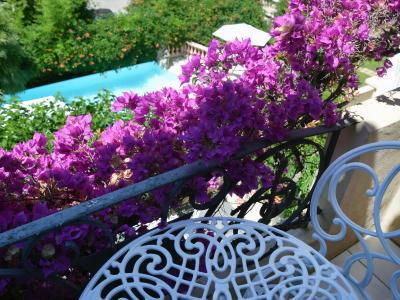 All rooms have a terrace or balcony with a view of the swimming pool or the gardens. 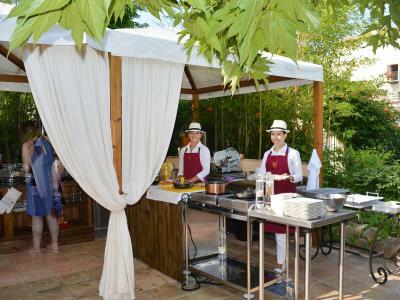 A buffet breakfast is served each morning at the hotel and can be enjoyed in the courtyard when the weather is nice. There is also a lounge bar serving drinks and snacks. The hotel’s front desk is open 24 hours a day. Services available for an additional fee include dry-cleaning and private on-site parking. The hotel is located half a mile from Juan les Pins Train Station and 2 miles from Antibes Train Station. Nice Airport is 7.5 miles away. 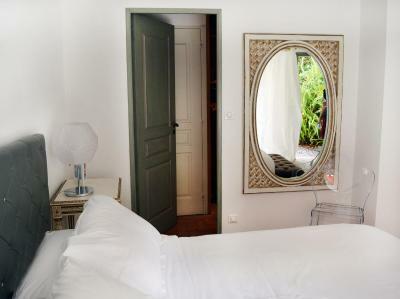 This is our guests' favorite part of Juan-les-Pins, according to independent reviews. 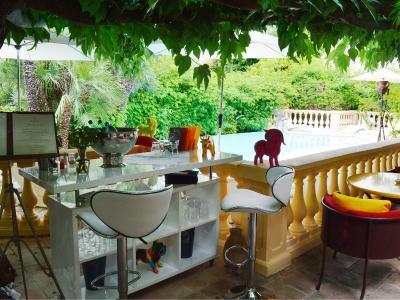 This property also has one of the top-rated locations in Juan-les-Pins! Guests are happier about it compared to other properties in the area. 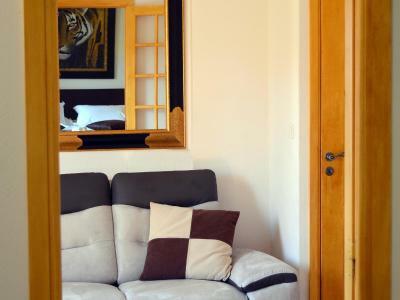 This property is also rated for the best value in Juan-les-Pins! Guests are getting more for their money when compared to other properties in this city. 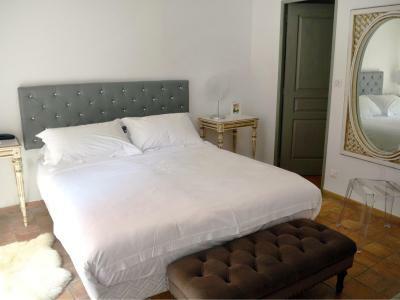 When would you like to stay at Hôtel Sainte Valérie? This room is located on the ground floor. 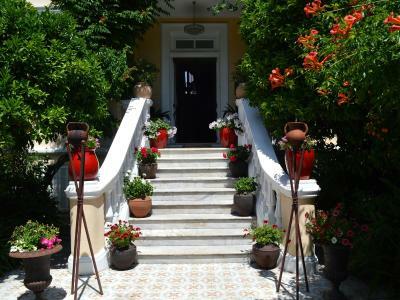 It features a small terrace with views of the garden. This room faces the garden. 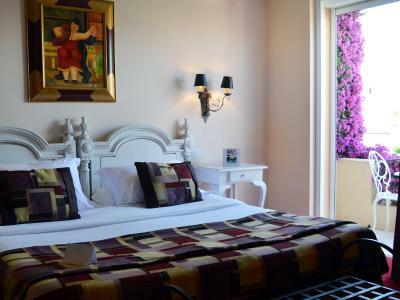 Some of these executive double rooms have views of the garden. This large suite has a flat-screen TV and a private bathroom. 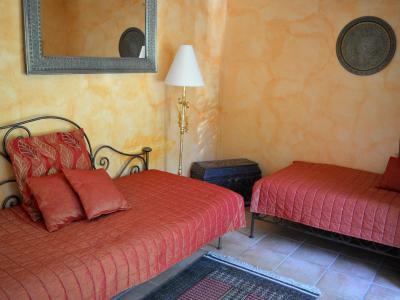 This double room features a satellite TV, mini-bar and private entrance. This suite features a bathrobe, satellite TV and air conditioning. 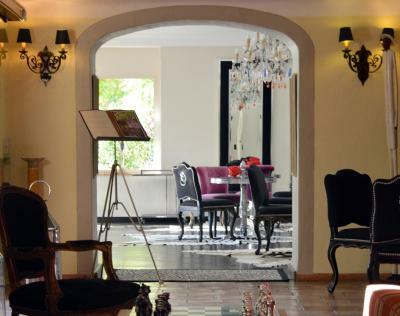 House Rules Hôtel Sainte Valérie takes special requests – add in the next step! Hôtel Sainte Valérie accepts these cards and reserves the right to temporarily hold an amount prior to arrival. Mosquitos; patio door did not lock; large dead insect not cleaned from shutters for entire stay. Twice at about 2 a.m. we were awoken by the sound of rushing water in the pipes - we worked out that this was supplying the garden sprinkler system. It was really loud and went on for about half an hour. 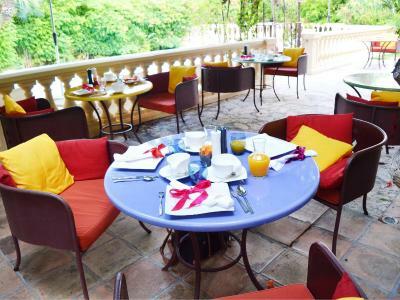 We thought the hotel was good value but we thought paying an extra 20 euros per person per day for breakfast was too expensive - we went out for breakfast. Te hotel was in a quiet location but convenient for the town and the railway station so we could easily explore the surrounding area. Staff were very friendly and helpful and the accommodation was clean and very comfortable. The gardens were lovely. Very personal, slightly quirky and very French ! All morning buffet breakfast until 1pm :). Garden is super pretty. Staff is super helpful. 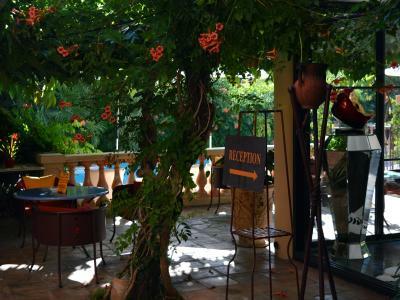 The hotel is absolutely beautiful and Juan Les Pins is of course a very expensive area but we just didn't really feel we got value for money. The facilities were a little bit lacking - the hotel doesn't serve food (aside from breakfast which isn't even included) or snacks and has a very limited bar, which is a bit of a shame if you are planning on staying by the hotel pool for the day, means you have to go out. Also, for this reason we spent more of our days at the beach which was not really desirable as it was so expensive for sun loungers at all of the private beach areas. We were also disappointed that breakfast was such an expensive add on when we felt we had already spent so much to stay at the hotel - 40 euros a day for 2 guests seemed a bit extreme considering the breakfast selection was also quite limited. 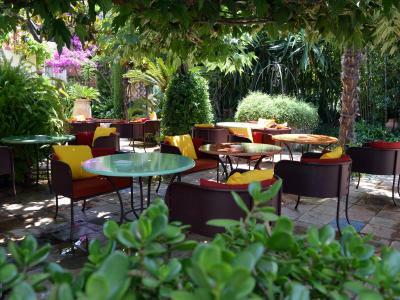 Perfect location, literally couldn't be closer to buzzy Juan Les Pin town - and yet the hotel and gardens manages to be incredibly tranquil and quiet. Our favourite thing about the hotel was the amazing greenery, our balcony was full of exotic plants and flowers - these also drape over the pool which was so picturesque - definitely my favorite hotel pool ever! Also loved that the hotel rooms were named after different flowers, felt much more personal than a room number. Service was also exceptional and staff were so lovely and helpful. 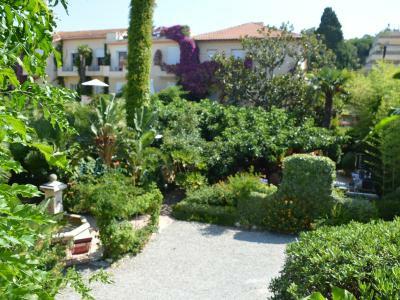 Quiet and relaxing garden but still close to the beach and restaurants. This is a really lovely family-run hotel. 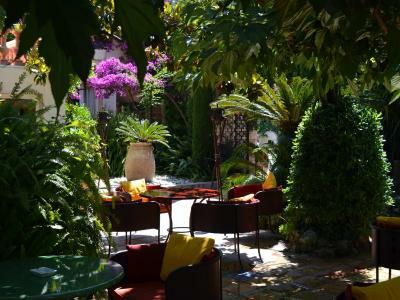 Close to the centre of Juan Les Pins, yet wonderfully tranquil. Beautiful courtyard garden and pool. Really nice and helpful staff. amazing & beautifull place. Spent 4 nights in paradise with my girlfriend. 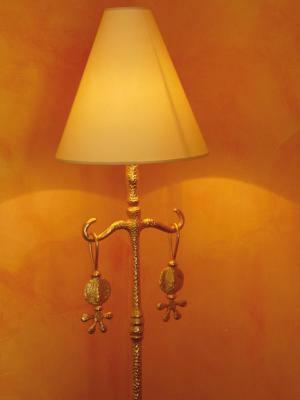 Room are furnished with style in all details .